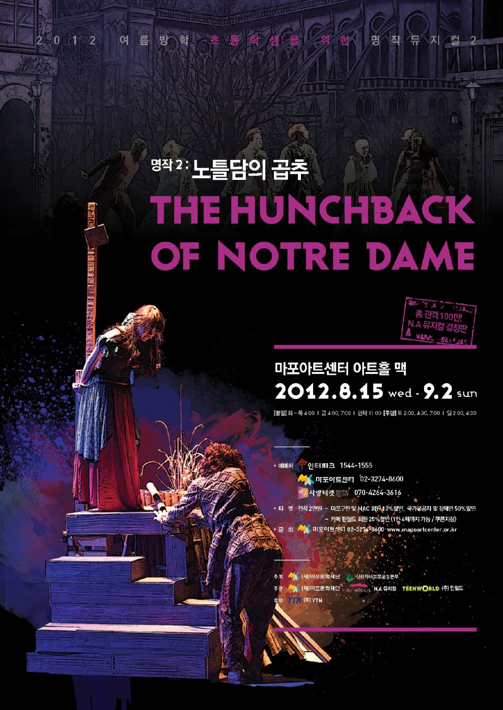 This is a video for a Korean musical version of The Hunchback of Notre Dame . You can see the influences of Notre Dame de Paris and the Disney version. It was done by the N.A Company and it premiered in August 2012. It seems to have great energy and maybe more light-hearted than other stage versions. And I think there may even be Sister Gudule in this version.